﻿ HONG KONG OPEN 2015 SF – Unstoppable Lee and Yoo! 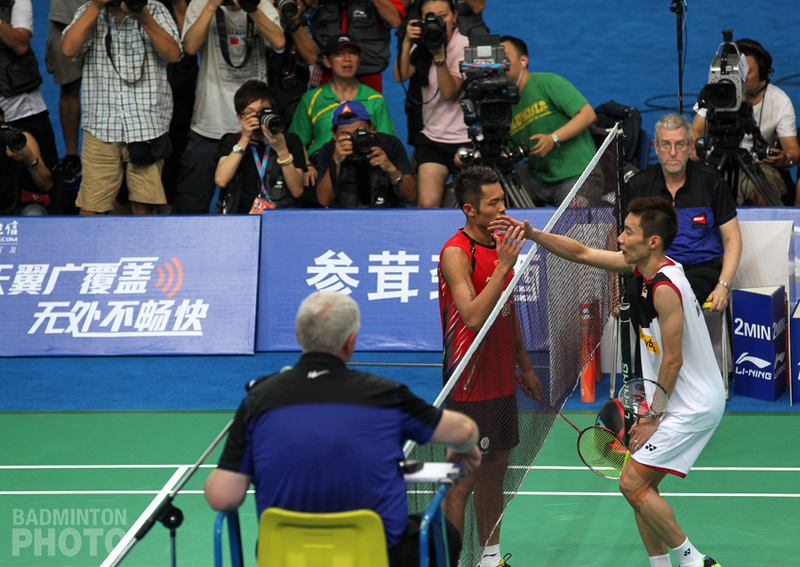 World number ones Lee Yong Dae and Yoo Yeon Seong were forced to play very touch-and-go against China’s Chao Biao and Hong Wei, going through an authentic full distance match, grabbing their final place 30-28 in the decider. 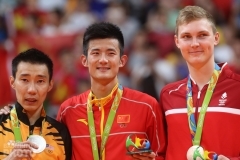 Tian Houwei is finally given a chance to stand out as he booked appointment with Lee Chong Wei. 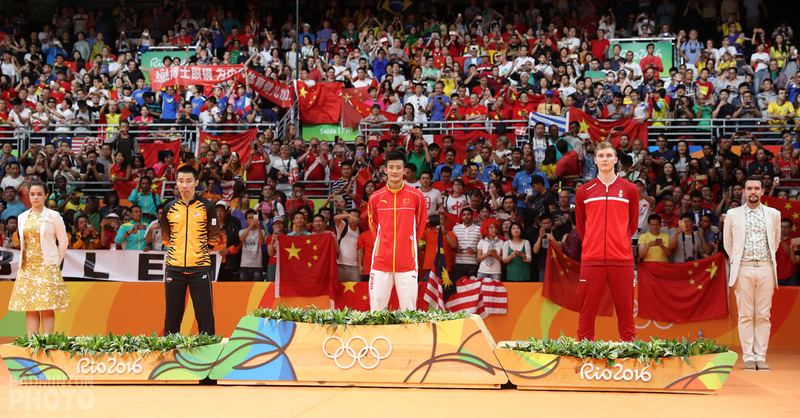 It’s more than certain that many in the crowd went through chest pains, focusing on the insane men’s doubles match they were offered to watch in the Hong Kong Coliseum. In an 88-minute campaign to get through the last four, Lee Yong Dae and Yoo Yeon Seong (pictured) proposed an incredible game and displayed admirable mental strength to overcome the Chinese hurdles posed by Chao Biao and Hong Wei (pictured bottom). The 6th seeds from China raised their voices first gaining the opening game by a slight margin 24-22, after Lee Yong Dae sent the shuttle out of the court. 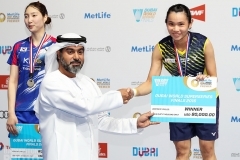 But the response didn’t take long to arrive as the world number ones showed their status by claiming the second set with no major worries 21-11. 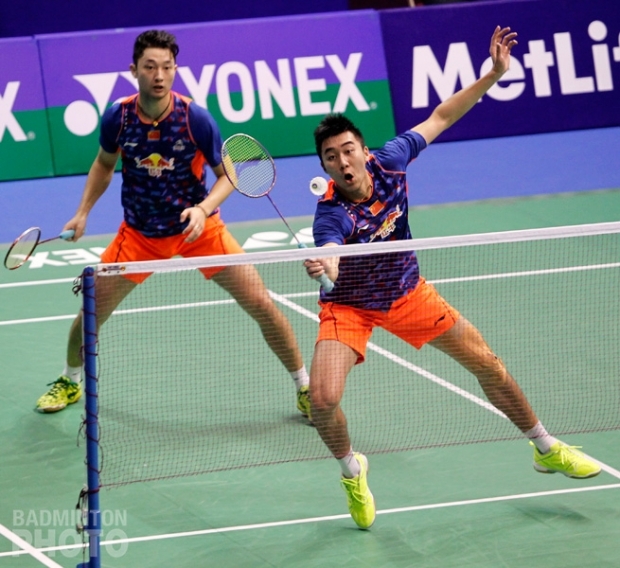 Still, it was the Chinese duo who appeared much more solid and willing in the decider, helped by several unforced errors by Lee Yong Dae, who looked obviously very frustrated. Trailing 12-18, the Koreans needed only a second to focus again and climb the mountain to level up with their opponents. From this moment began a dangerous mental battle, until the Koreans found the loophole and grabbed the last two needed points at 28-28, to seal their fate in this rollercoaster-like encounter. Presented as the last match of semi-finals day, Denmark’s Carsten Mogensen and Mathias Boe never seemed happier after they dismissed for the very first time in their career, the current World Champions Hendra Setiawan and Muhammad Ahsan to set a meet-and-greet with the Koreans on Sunday afternoon. China’s Tian Houwei (pictured) is getting a chance to finally stand in the spotlight, after remaining in the shadow of his illustrious compatriots. 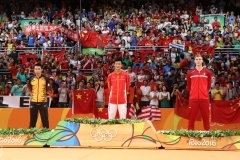 The world #10 put an end to Anthony Ginting’s fabulous run in Hong Kong, in a three-game battle as well. Looking very unfocused in the first game, the 2009 Asian and World Junior Champion failed to grab the opening, losing 18-21. However, Tian set the clock at the right time and literally raced towards victory 21-11, 21-6 in the second and third games. The Chinese talent will now be given a task of a whole new level as, in contrast to his semi-final opponent’s lack of experience, he is now taking on Lee Chong Wei, by far the most experienced player with Lin Dan on the circuit at the moment. The Malaysian star deprived Hong Kong of their final chance as he prevented a rebellious act from Ng Ka Long Angus, winning in straight games 21-19, 21-14. 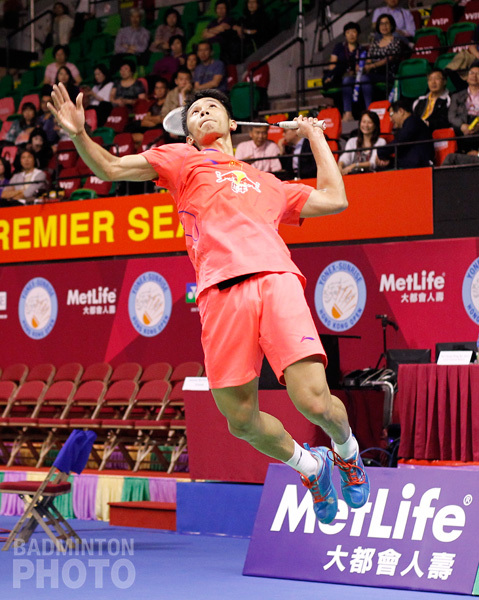 While Lee Chong Wei goes for his 41st career Superseries title, Tian Houwei will be playing in the first Superseries final of his career. The one edge he might be able to claim is that he is actually the only active player who is undefeated against Lee, having beaten the Malaysian legend in their only previous encounter, en route to his 2013 Australian Open title. 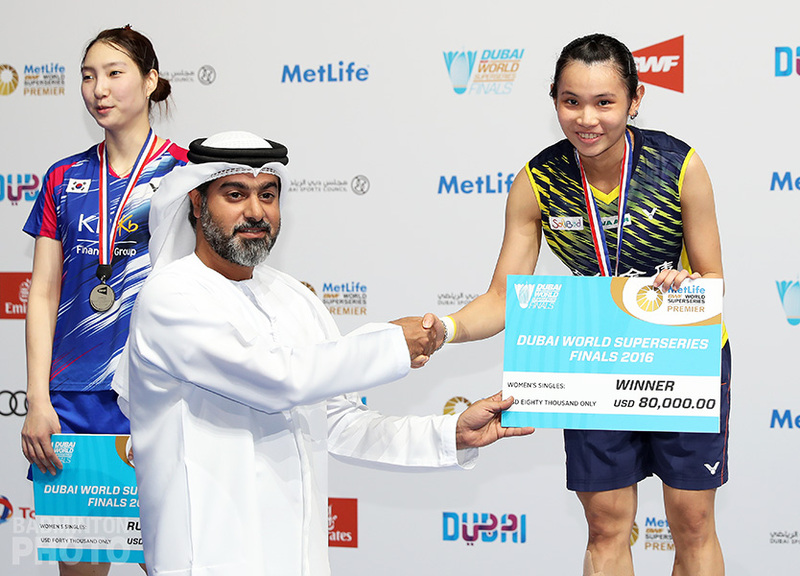 Last year’s runner-up Nozomi Okuhara (pictured) will definitely be giving her very best to grab a second career Superseries title. She showed great abilities against Ratchanok Intanon, completely outplaying the former World Champion 26-24, 21-6. She will be meeting the current World Champion and World #1 Carolina Marin, who is obviously in the shape of her life, going for her fifth Superseries title of the year.